Manchester United have seen their values reduced drastically since the start of the season. This is a result of an unimpressive run of form which has seen them drop to the seventh position on the Premier League table. Mourinho’s spell at Old Trafford has so far been a bittersweet one as the Portuguese manager won two trophies in his first season. He followed that up with a second-place finish in his second season at the club. He equally qualified for the FA Cup final match but saw his men crumbled to a 2-1 defeat in the hands of Chelsea. This campaign has been the worst of them all, everything isn’t just working out for the former Real Madrid manager. After Wolves’ 1-1 in September, Mourinho was under huge pressure to lose his job. To make things more complicated for the former Chelsea manager, West United who were equally struggling claimed a 3-1 victory over his players. With one more defeat to his sacking, Mourinho led his players out of Old Trafford’s dressing room against Newcastle, hoping his players do the magic against the St James’ Park outfits. Newcastle took the lead in the first half, an angry and under-fire Mourinho was furious with his players with the manner with which the goal was scored. Before halftime, the Magpies made it two goals to further heighten the pressure on the Portuguese manager. Knowing fully well that he’s one step out of his job, Mourinho angrily headed into the dressing room, waiting for his uninspired players. Whatever it is Mourinho told his players, it really worked as they were more energetic and determined to save the manager from being sacked by the Glazers. They scored the first goal, second goal and there was a sigh of relief from Mourinho who knew a draw could save him for at least two weeks. As the game reached its closing stages, highly criticized striker Alexis Sanchez nodded home to give the Red Devils the unlikely victory. Sanchez’s goal was widely celebrated by Mourinho and his players as they knew they have helped their manager from being the third Premier manager to get sacked in the season. Since their Comeback victory over Newcastle, United have become a specialist in conceding the first goal in every match. They came from a 1-goal deficit to play a 2-2 draw against Chelsea. It was the same story against Everton as they came from behind to defeat the Toffees 2-1. 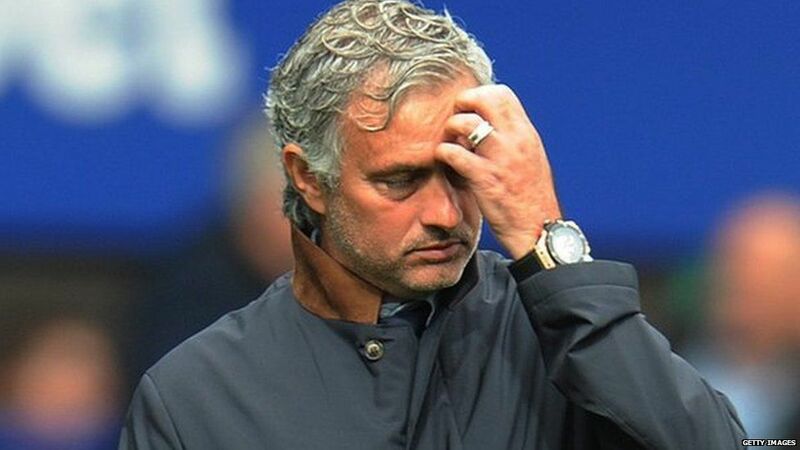 Southampton thought they had beaten Mourinho’s men as they were leading by 2-1 up till the 86th minute. However, United have the final say as they found the back of the net with the last kick of the game to put the scoreline at 2-2. Their latest comeback was against Arsenal on Wednesday as they fell behind the Gunners in two different occasions but were able to pick a point from the encounter as it ended 2-2. Being a comeback master isn’t a good tactical approach from Mourinho and the Portuguese manager must erase such mentality from his players as soon as he can.